Do you remember a time when supermarkets only sold food? These days they are literal super markets; stocked with just about everything you and your home needs. Lidl is no exception, as from the 13th April 2017 shoppers will be able to snag a bargain of a kitchen gadget. 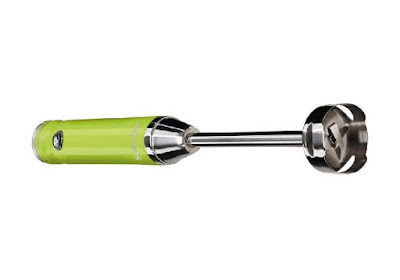 We check out the Lidl Hand Blender. This handy blender, which is made by Silver Crest, will be available in stores for a fraction of the price of other similar devices. For only £14.99 you get the Hand Blender itself, complete with detachable metal head, and four interchangeable blades with handy storage case. The body of the blender is thin, brightly coloured plastic, and very solidly put together. Oh, and you plug it in, so you know. 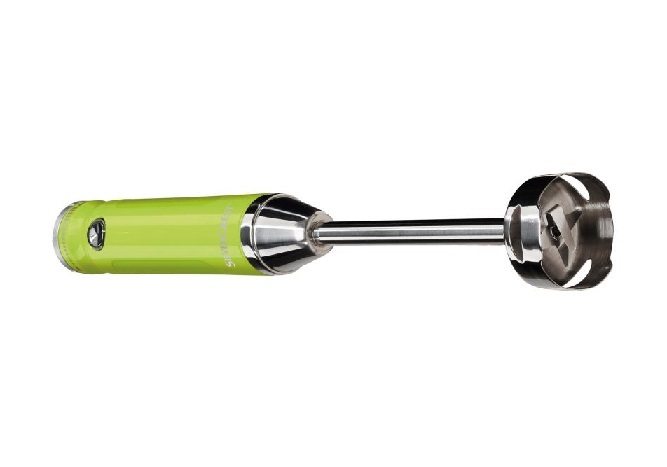 The spinning blades can hit 13800rpm meaning even firm foodstuffs will be obliterated (perfect for making dips and pastes for Mexican food), while the 400W motor can be controlled by the speed adjustment dial on the top of the blender, as well as the single button on the side. Due to the overall slimness of the gadget, it is very easy to grip and hold while in use. 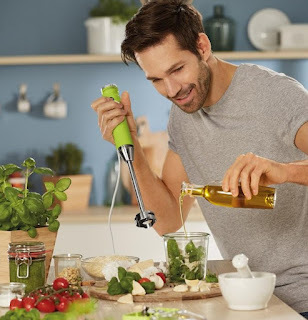 The Lidl Hand Blender is a four-in-one device thanks to the additional blade heads which can swapped out, so it can be used to chop, dice, whisk and grate. And again, thanks to that small storage case, all your bits won't get lost in the bottom of a kitchen drawer, nor will you have to throw away the cooker to find a place to put the blender. Coz it's well slim, innit? All in all, for less than 15 quid, this is pretty amazing. In use it is firm, fast, and frighteningly effective. It is easy to clean (because it easily dismantles) and looks great. You buy, eh?